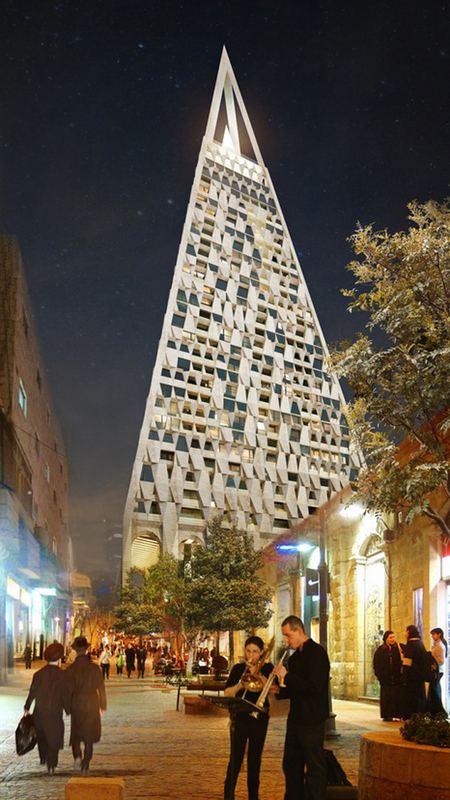 Located adjacent to the Mahane Yehuda market—commonly known as “The Shuk” – in the heart of the city, the 105-meter, 26-story complex conceived by Studio Libeskind in collaboration with local architect Yigal Levi, entitled The Pyramid, will feature 200 apartments, a boutique hotel, a public plaza lined with shops, and a roof-top observatory and restaurant that will provide sweeping views of the ancient city. 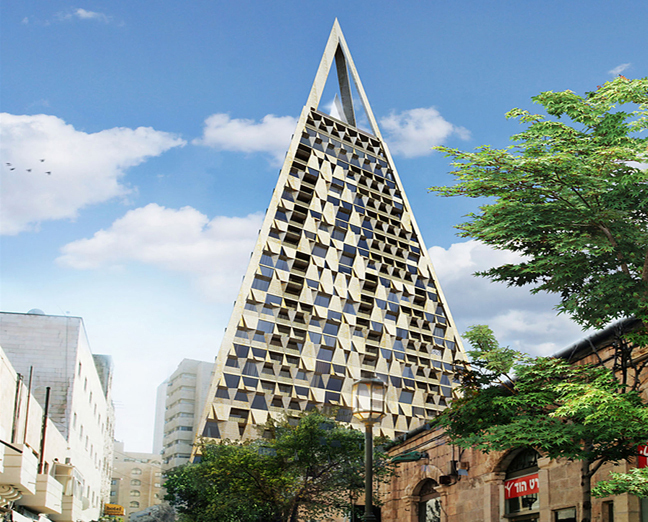 “The Pyramid mediates between ancient traditions and myths, while providing a 21st century reinterpretation of that great form,” said architect Daniel Libeskind. “The design complements the context and gives the neighborhood a vibrant public space in the heart of the ancient city,” added Libeskind. The complex, historic context was an important consideration for the design. The Studio chose a tapering form to allow maximum light to fall on the public plaza below and to create ample open space surrounding the structure. 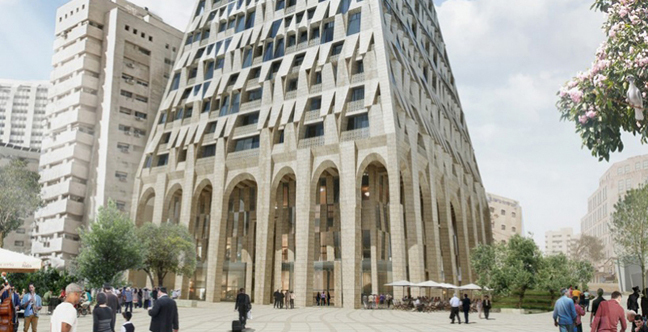 Referencing Jerusalem’s existing architectural language, the façade features a geometric pattern composed of Jerusalem stone and glass. The pattern and relief of the façade refers to traditional, local typologies while also fulfilling contemporary functions. At street-level, an arched colonnade connects the public plaza to the inner shopping arcade. 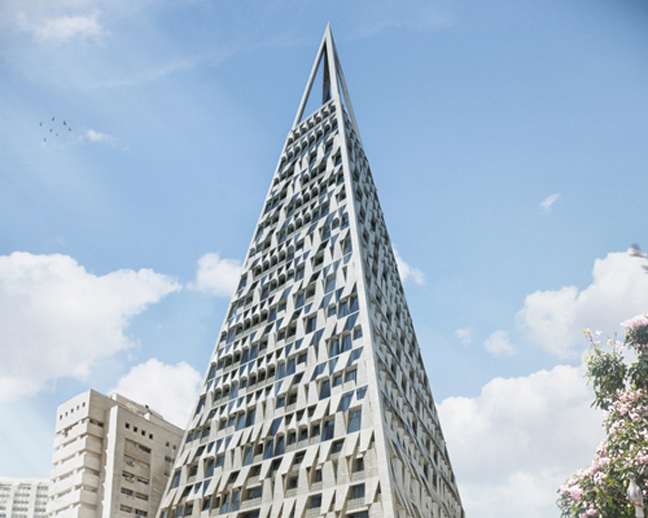 With its many amenities and public spaces, The Pyramid is set to become an integral part of the neighborhood, servicing citizens and tourists alike.